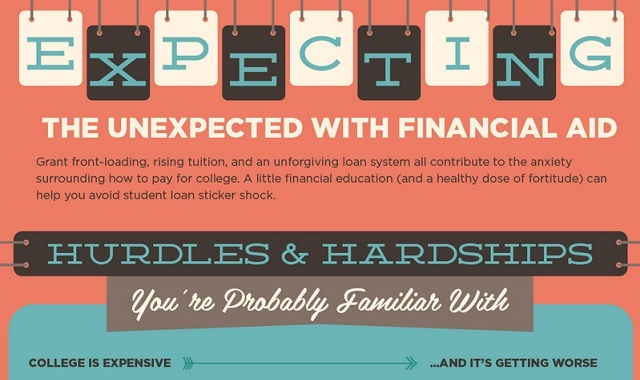 Expecting The Unexpected With Financial Aid #infographic ~ Visualistan '+g+"
Grant front-loading, rising tuition, and an unforgiving loan system all contribute to the anxiety surrounding how to pay for college. A little financial education (and a healthy dose of fortitude) can help you avoid student loan sticker shock. The following infographic will help you overcome the hurdles and hardships as you start to navigate the world of financial aid.